The program aims to better understand students needs and connect students to school. A new program at Evergreen Middle School could serve as a model for achieving greater student success across the district, and beyond, organizers hope. Hillsboro School District's 'Team Up' program aims to help students who have fallen behind get back on track and feel more connected to their teachers and classmates, according to district officials. Since September, a class of seventh-graders at Evergreen Middle School have been meeting daily. They work on math problems and study habits, but the goal isn't just about raising their grade point average, district officials say, it's about making students feel seen, and included. "We have all these kids that are disconnected (from school)," said former teacher Kristy Kottkey. "It's (a nationwide issue). Nobody has been able to solve that problem ... We have this group of kids that we know in elementary school (will struggle later in life). We know who they are going to be. We are trying to work within the system to be creative, but we are always coming down to this same group of kids with these same types of needs." The program began as a pilot at Glencoe High School in 2016. A survey of 1,500 at-risk middle and high schools students showed the same issues cropping up again and again, Kottkey said: Students don't feel connected to their teachers. They don't feel like their classes have a connection to the careers they want to pursue. Many don't have any idea what kind of career they might be interested in. "It gave us this perspective," Kottkey said. "We learned, 'This is true and this is who it's true for." 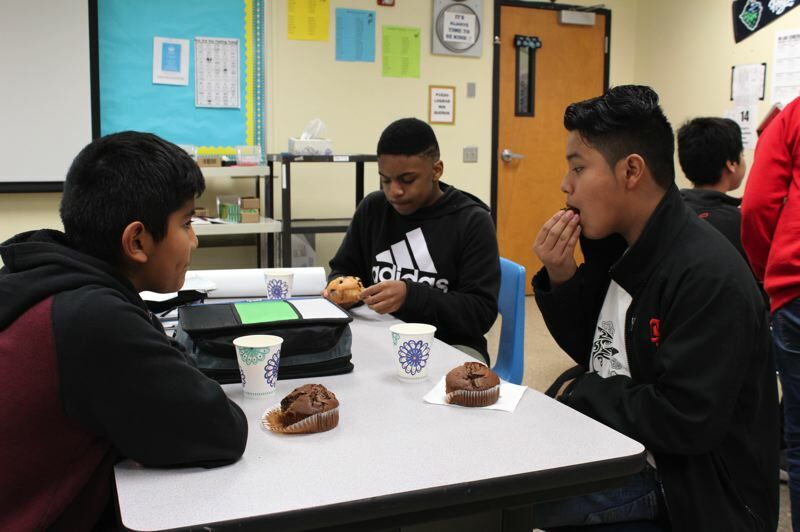 According to the survey, Latino boys feel more disconnected in school than their peers, she said, so two years ago, organizers formed a weekly club for a group of freshmen Latino boys at Glencoe who were in need of extra assistance, particularly in math. They called themselves the Math Warriors. "In this district, and in most districts, math and algebra are the thing that holds kids back from graduating," Kottkey said. "You hear it everywhere. It's the math." The Math Warriors ate breakfast together and worked on math projects before school. The club was visited by Hillsboro Hops players and took a trip to a zip-line park near Gaston together for team-building activities. The goal was to get students excited about learning. Kottkey said the results were short of incredible. "I get goosebumps still talking about it," she said. "It was this really amazing thing." Within a few weeks, math scores began to improve dramatically, Kottkey said. After a month and a half, 75 percent of students in the group went from failing math class, to passing it. "Teachers say, 'They are so behind in their math skills,'" Kottkey said. "What we are showing is that, yes, they need some skills, but they first need that connection and their reason to come." Having a connection with teachers and their peers is incredibly important for success in the classroom, Kottkey said. "We could see that, just from that small intervention, that this was a way for some of those kids to get hooked (on school)," she said. This fall, district officials are leading a similar version of the program at Evergreen Middle School. Kottkey asked teachers from Evergreen's three lowest-income feeder elementary schools to nominate incoming seventh-graders who might benefit from the program. "We had more kids nominated than we could take," she said. "We had 45 or 50 ... So we really focused on the kids needing math (help)." The Evergreen 'Team Up' program took a different form than its Glencoe counterpart. At Evergreen the students gather during first period, and meet daily. Staff spent time over the summer getting to know the students before the first day of classes. Several months into the school year, Kottkey said GPA's have improved. "We are actually surprised by how quickly they have reconnected," she said. 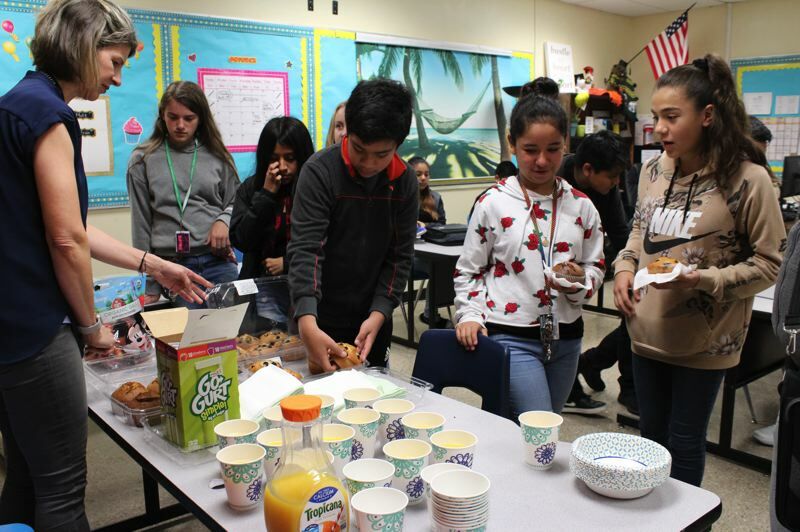 As of last month, each of Evergreen's "Team Up" students had achieved at least a 3.0 GPA, Kottkey said, but it isn't grades they've been focusing on — it's developing good habits, critical thinking skills and building connections. "We talk about the day, we goal-set, we practice math. If they have a test coming we get out our study guides and do a lot of life lessons," she said. "It shows that teaching differently in the same system can be effective for these students. Especially for (English language learning) students. (It) doesn't require massive structural overhaul, just teachers who can work creatively to deliver curriculum, and it requires a little risk-taking and support from a business and community partner." The program is funded by the Hillsboro Hops and the Hillsboro Optimist Club. Hops co-owner Mike McMurray said the program is about reaching students where they are. "(As a child), I had a natural connection with school, with the teachers and with pursuing math ... But that was just a product of the environment I was fortunate enough to grow up in," he said. "If you come from a family situation or environment where education is not that prominent, then you have to get back to first principles of, 'How do we make a connection with those kids first and then once we make that connection, how do we teach them?'" Kottkey hopes the program can become a model for other schools, with groups of students who share classes and form their own "team," she said. "The old-school way of thinking is, 'We just need to keep teaching those fractions,'" she said. "It's really (about) breaking some barriers of what some people think kids can do. And you have to show it. We know we have to keep showing it for people to believe it." McMurray said he's on board to continue supporting the program at Evergreen, and credits the district for having faith in people like Kottkey who take risks to improve student success, he said. "You've got teachers and administrators who are willing to try things differently as opposed to (saying), 'Well this is the way it used to work ... why isn't it good enough now?'" he said. "Life changes. I'm so pleased that we are in a community where experimentation to try and improve the group of at-risk kids (is supported). They are willing to take some chances."